Blog » Kids & Teens » Adam Cece answers the Ten Terrifying Questions! 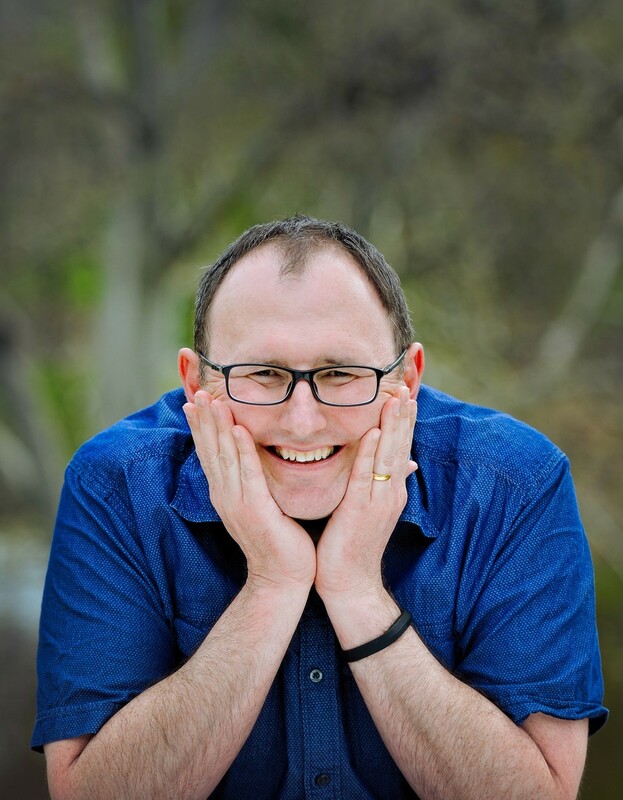 Adam Cece is the author of the award-winning Huggabie Falls trilogy, a fantastic middle grade series for kids about the weird and wacky things going on in a place called Huggabie Falls, illustrated by Melbourne cartoonist Andrew Weldon. Today Adam is on the blog to answer our Ten Terrifying Questions! I was born and have lived almost all my life in Adelaide, South Australia, apart from two years where my family lived, and I went to school, in New Zealand. So I consider myself part Aussie and part Kiwi. I now live south of Adelaide, with my wife and two young children. I have always been a storyteller, and get more joy out of seeing other people enjoy a story than enjoying a story myself. Pretty much since I first realised that the occupation of author existed, I think I was about ten years old, I have wanted to be one. I am so lucky to be living my lifelong dream now. I have also always been interested in, and fascinated by, medieval history (I am obsessed with castles) so I think if I wasn’t an author I’d probably be a medieval historian. None of this explains why I went to university and studied a Bachelor of Science. I don’t know what was going on there! 3. What strongly held belief did you have when you were younger that you do not have now? That people are born with natural talent to do something, like writing, and that dictates whether they will succeed in that thing before they even start. What I have grown to realise is that hard-work and perseverance, and never giving up, no matter how many people tell you you can’t do something, is what determines whether you will succeed at something or not. 4. What are three works of art – book or painting or piece of music, etc – that you can now say had a great effect on you and influenced your own development as a writer? I am a big movie soundtrack nerd, and I especially love movie scores and themes, and I admire a lot of fantastic composers. My favourite is a tie between Alan Silvestri, who composed and conducted the Back to The Future movie theme, and Dave Grusin’s themes from the movie The Goonies. When I am writing I often put on movie scores and themes to provide me with inspiration. If you ever want to write an action/adventure book for children, put The Goonies motion picture score on in the background, especially the Fratelli Chase and Water Slide and Galleon themes, for all the inspiration you will ever need. Speaking of The Goonies, that is one of my all-time favourite movies, which totally captivated me as a child, and now still as an adult, along with The Princess Bride (which is still both one of my favourite books and one of my favourite movies) by William Goldman. I have also always been inspired by graphic novels, like Tintin and Asterix, and one of my all-time favourites as a child was The Adventures of Terry Teo, which was a very successful graphic novel series in New Zealand, and was even made into a TV show over there. 5. 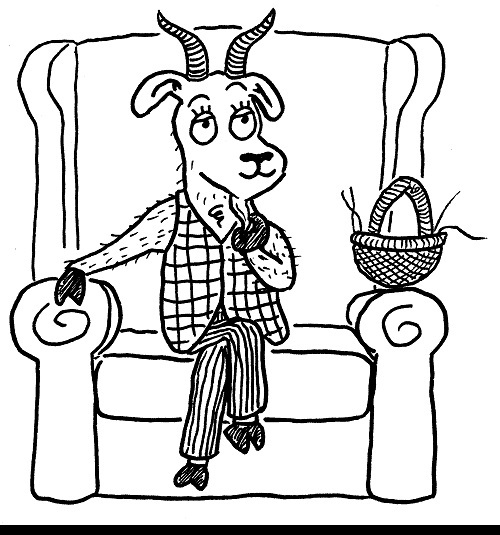 Considering the innumerable artistic avenues open to you, why did you choose to write a children’s book? I don’t think there is anything better than writing children’s books. The books I read when I was about ten years old were more than just books to me—in my head they were real worlds, that I lived in and explored, and the characters were my friends, and enemies. Those stories stayed with me, had a profound impact on me, and shaped who I am today, and I have always wanted to write stories that do the same. And you can be silly and have a lot of fun writing stories for children, while sneaking in good messages and lessons without anyone noticing. The Utterly Indescribable Thing That Happened In Huggabie Falls is the third book in the Huggabie Falls trilogy—a series of stories about three best friends who live in the weirdest, and most wonderful, town on Earth. Already in the Huggabie Falls trilogy, they’ve saved Huggabie Falls from an extremely weird thing, and then an unbelievably scary thing, but now they have to try and stop something, even though no-one can even describe what it is, and all the time while dealing with everything from crazy collector silkworms to a forgetful super-cute talking goat. And they also have to face the evil third Dark family triplet, whose plan to destroy Huggabie Falls is the most dastardly plan yet. 7. What do you hope kids will take away with them after reading your book? The Huggabie Falls series is all about embracing uniqueness, and the fact that it is our differences that make the world an interesting and wonderful place. The Utterly Indescribable Thing That Happened In Huggabie Falls is also a story all about appreciating what you’ve got, and not worrying about what you might be missing out on. 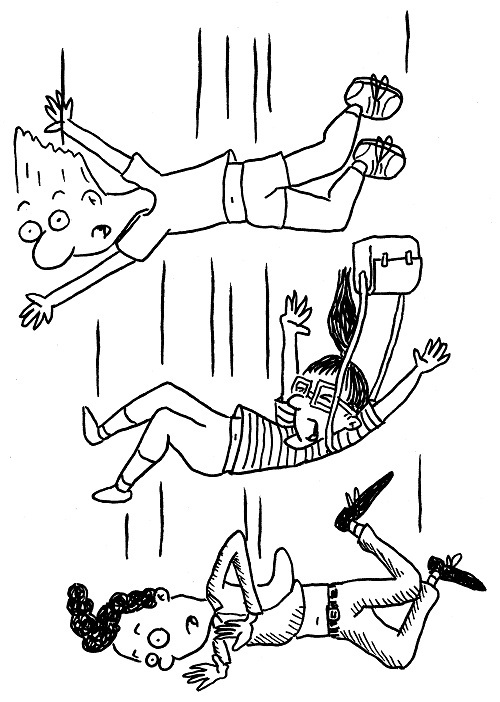 But most of all I just want readers to have fun visiting Huggabie Falls again! When I think about authors I admire so many names come to mind, almost too many to mention. Since becoming an author I have gotten to know so many authors and discovered so many authors with endless magnificence, and I discover new authors to admire everyday. I admire authors who are able to transport you, to totally engross you, to make you feel for the characters and to make you forget you’re even reading a book. If my arm is twisted to come up with a few names, then the names that immediately spring to mind are Gillian Rubinstein, C.S. Lewis, J.R.R. Tolkien, Douglas Adams, Enid Blyton, Dr. Seuss, Rob Grant, Doug Naylor, Michael Gerard Bauer, Stephen R. Donaldson, Ross Welford, Robin Klein, Michael Marshall Smith, Lemony Snicket, J.K. Rowling, Tom Holt, Ernest Cline, and Vikki Wakefield, but this is by no means anywhere near a complete list of authors I admire, and for a vast variety of reasons. In the last few years I have achieved so many of my writing goals. To be published, to write a series, to see my books published all over the world, in many different languages, and to reach thousands and thousands of readers. And I have also loved visiting hundreds of schools and inspiring children to read and write. It has all been incredible. But my major goal has always been simple: to be able to write full time. It’s all I want to do, and all I’ve ever wanted to do. Read and read and read and read until you find exactly what you like, and what you want to try and write. Then try to write it. At first you won’t be able to, or at least nowhere near as well as you want—what you aim to write versus what you actually write will seem poles apart. But don’t get discouraged. If you work and work and work at it, and practice and practice, you’ll inch-by-inch get those poles closer together, until eventually they will meet. Thank you for playing Adam! 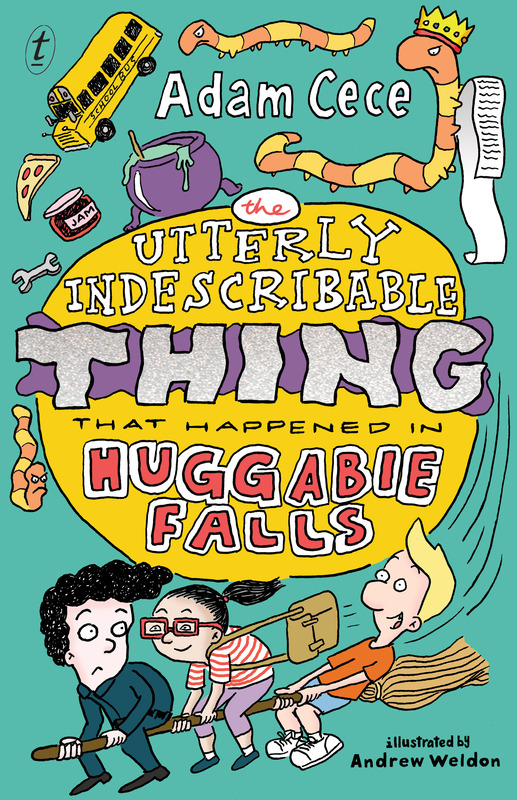 The Utterly Indescribable Thing that Happened in Huggabie Falls is available now. Kipp Kindle and his two friends, Tobias Treachery and Cymphany Chan, are back defending their weird and wonderful town, Huggabie Falls. Something indescribable is making everyone worry that life might be more exciting if they lived in the neighbouring town of Near Huggabie Falls. Illustrated throughout by acclaimed Melbourne cartoonist Andrew Weldon, this is the hilarious conclusion to a beloved series.